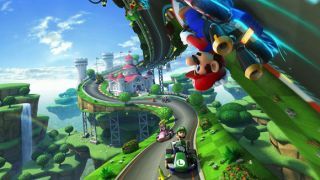 Nintendo has for the second year in a row decided to skip the type of elaborate press conference that its competitors will be throwing at the Electronic Entertainment Expo in June. E3 press conferences are infamous for being over the top, but while Microsoft, Sony, Ubisoft, EA and other big gaming companies continue to play circus, Nintendo has decided to speak directly to its fans again. Nintendo will hold smaller events where press and other E3 attendees can check out upcoming games, and will host another Nintendo Direct video - they're calling it a "Nintendo Digital Event" now - online on the morning of June 10, plus "Nintendo Treehouse" videos of commentary and demos from the show floor throughout E3. Finally, Nintendo will also host a live Super Smash Bros. Wii U tournament, and fans will be able to demo the game at Best Buy stores before it's available later this year. The funny fellas from Mega64 helped announce all these plans with the video below. It's become increasingly clear over the last couple of years that Nintendo considers itself in a league of its own without any competitors. Whether that's actually true is a matter of interpretation, but by skipping the traditional E3 presser yet again Nintendo is at least sticking to its message: that it doesn't need to play ball because it's playing a totally different sport. As Sony and Microsoft battle for supremacy in their own console arms race, Nintendo simply continues to be Nintendo, relying on nostalgia through the same franchises it's been using for decades. For better or for worse, it seems that's the Nintendo of today.